It's up to you. We know a guitar is personal. It needs to feel right, sound right and be in the price range you are looking for. We are here to help you find your sound. Searching for the right Acoustic? Call us: 503.393.4437. Or you can use the instrument research request link below. An Uptown Music Acoustic Guitar expert will research and get back to you with options. 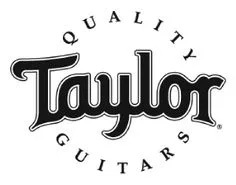 Taking the time to make sure that your acoustic guitar decision is the right one is something that we do best. We play what we preach. We have one of the Northwest's largest selections of new and used Acoustic instruments stock.